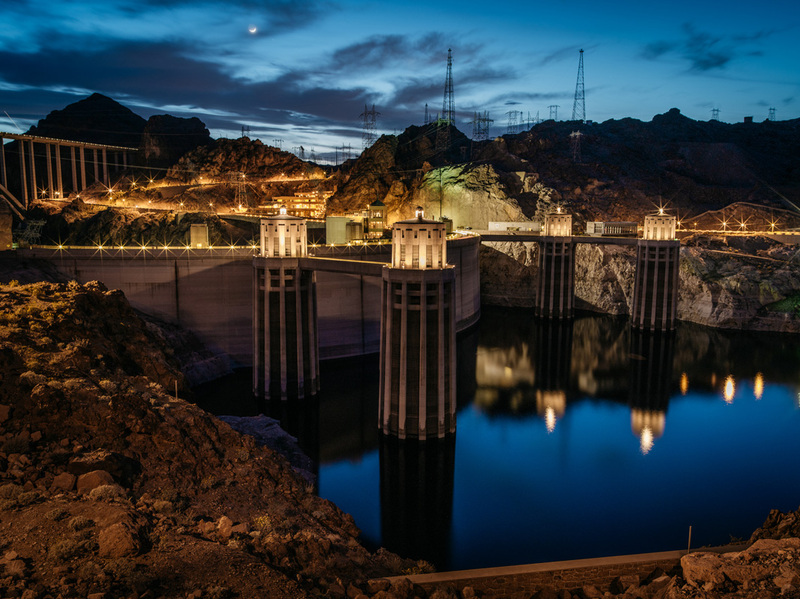 The Southern Nevada Water Authority is finishing a $1.4 billion tunnel and pumping station that amounts to a drain hole in the bottom of Lake Mead, a project that some think will allow nearby Las Vegas to continue taking water even after the generators and pumps in the Hoover Dam stop operating. 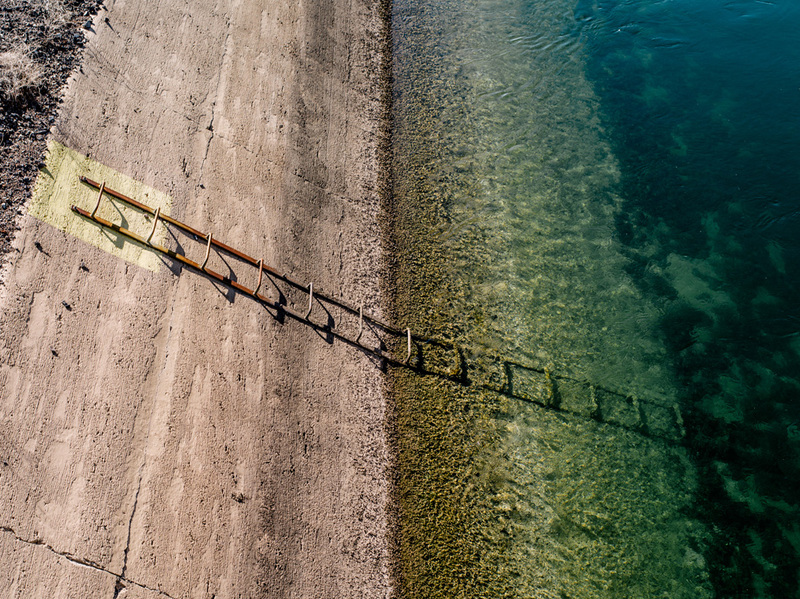 When I received this assignment to photograph varying aspects of the man-made infrastructure put in place to control every last drop of water coming from the river, I was blown away by the sheer scale of it all. We decided to structure my road trip around three so called “lakes” (reservoirs) that each serve a different function in supplying water and power to the almighty, never-ending expansion of western megacities. 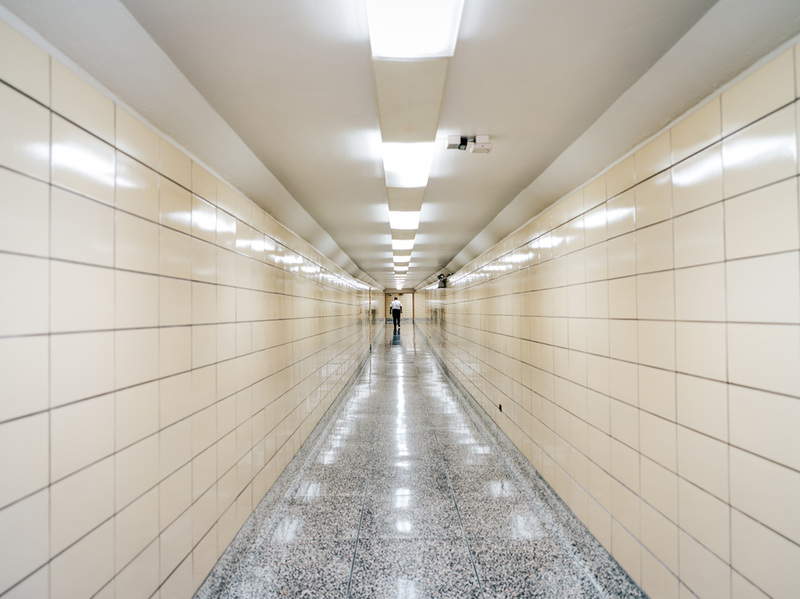 A hallway inside the Glen Canyon Dam. What I encountered along the way was both awe-inspiring and profoundly discouraging. 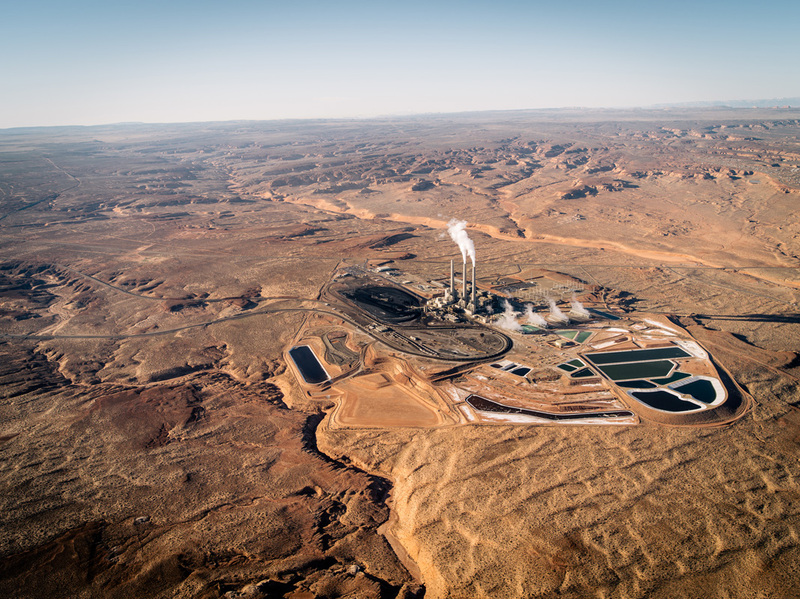 The Navajo Generating Station in Page, Arizona was created almost for the express purpose of providing the power needed to pump water hundreds of miles, up over mountains, to Phoenix. 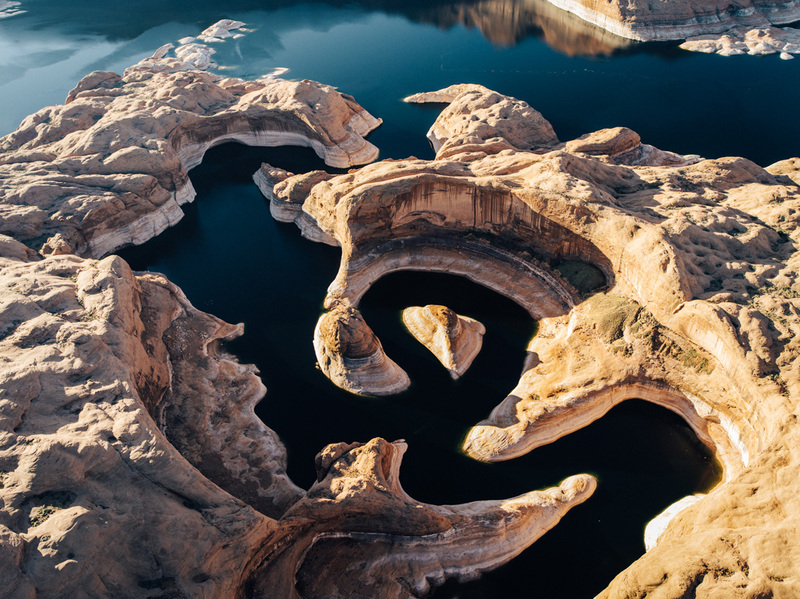 The Glen Canyon Dam created Lake Powell, which is not really a lake at all but a massive twisting, turning reservoir with nearly 2,000 miles of shoreline. The Central Arizona Project is a nondescript-looking canal that flows out of the side of a hill coming from Lake Havasu. 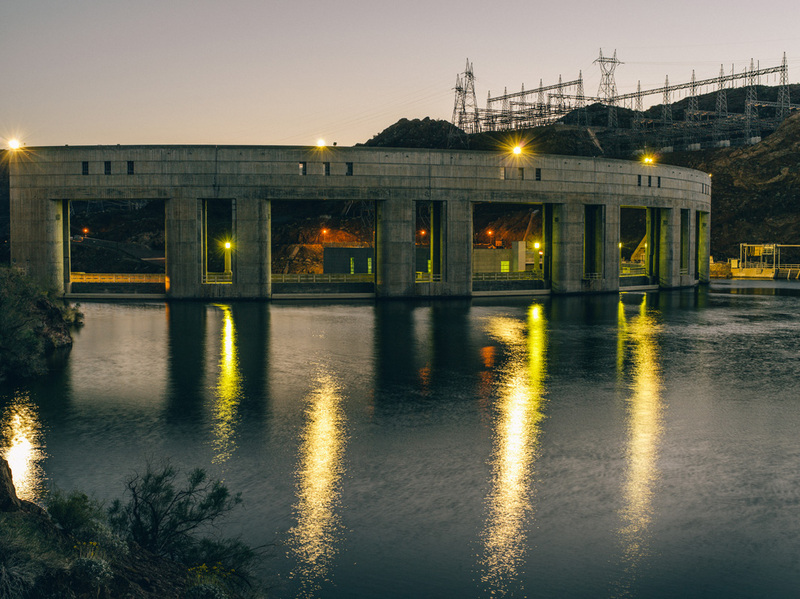 It runs at a languid pace for over 300 miles, providing a large percentage of the water that central and southern Arizona cities receive. The Parker Dam on the border of California and Arizona. Said to be the “deepest dam in the world,” with some 235 feet of it below the riverbed of the Colorado. A portion of the Central Arizona Project canal. 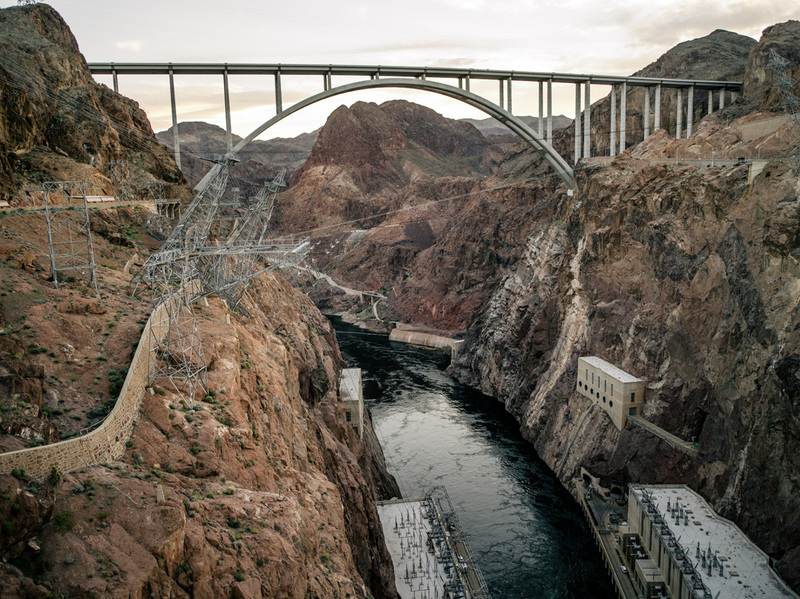 Arizona built its $4.4 billion mega canal in in order to lay claim to its full share of water from the Colorado River. When I got to Lake Mead, it looked like a dirty toilet: a huge ring encompassed the entire shoreline. We stumbled upon a marina that was abandoned, old food still rotting in the kitchen, the docks bent upward by the ground they were never supposed to touch. 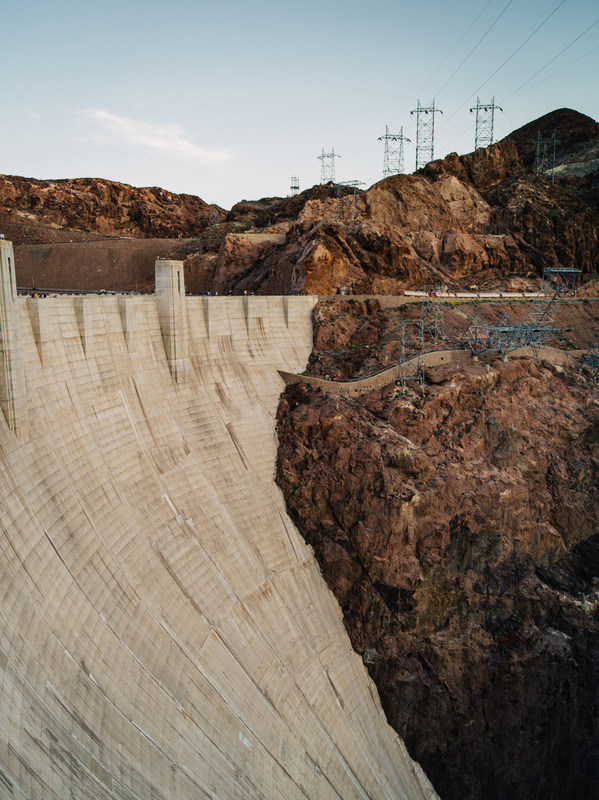 At Lake Mead, nearly 40 miles southeast of Las Vegas, water levels have dropped nearly 140 feet from their high. 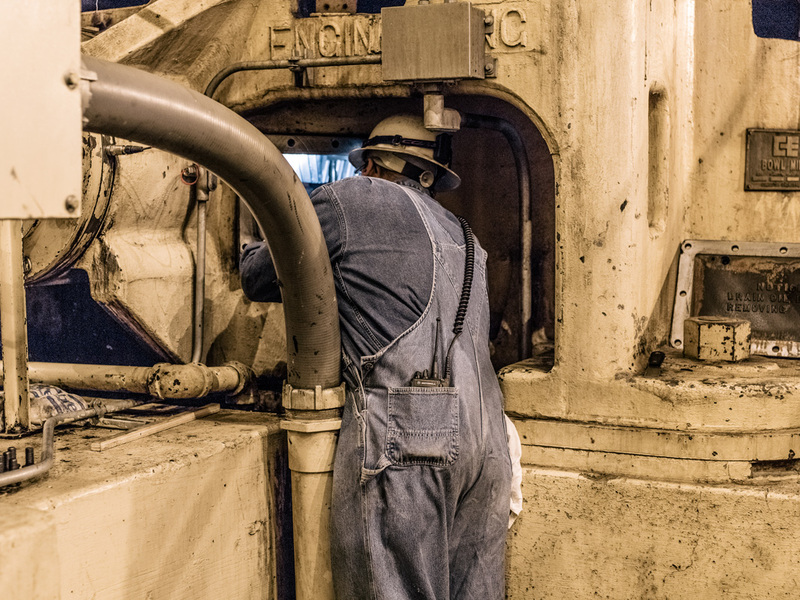 The Navajo station’s infernos gobble 15 tons of coal each minute, 24 hours each day, every day. The hardest thing about photographing this project was that all of this was and is beautiful. Lake Powell looks like a prehistoric sea on the surface of another planet. The dams are all monumental achievements to man’s both genius and hubris. 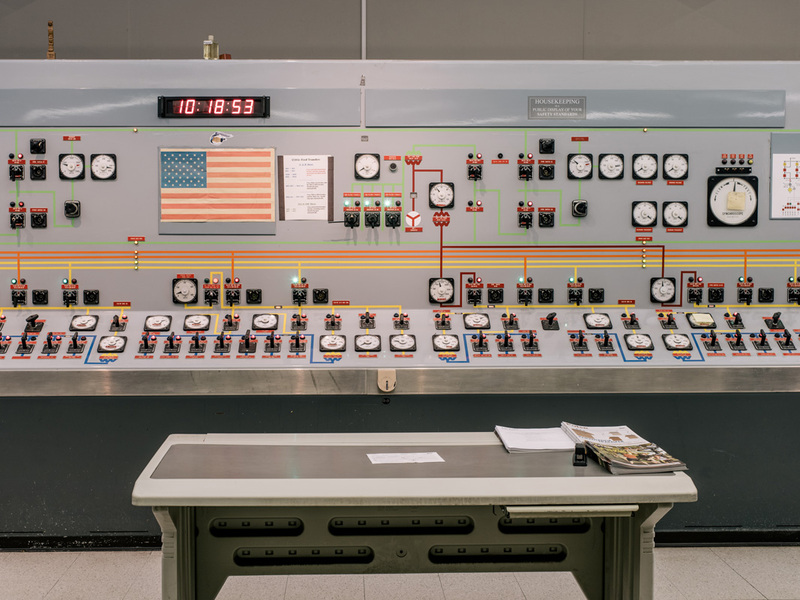 Even the coal plant, an easy target for photographers, ripe with clichés, was beautiful in its own way. "The mechanics of moving water is just lost on people," said Jared Blumenfeld, of the Environmental Protection Agency. 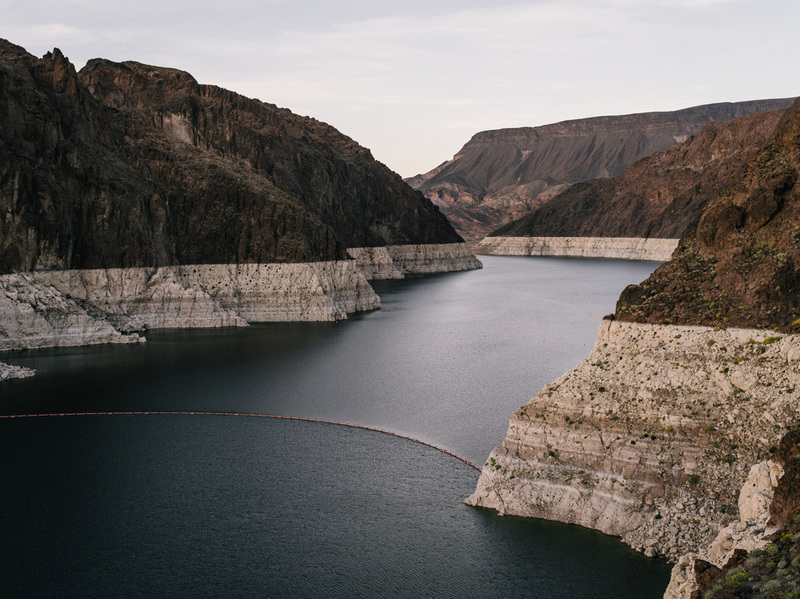 If water levels drop enough at Lake Mead, the federal government will declare a shortage and Nevada and Arizona will face dramatic cuts in supply. How can you show these things without romanticizing them? Trying to figure out how to show the scale of all of these projects without making saccharine images of dams and lakes was the biggest challenge. 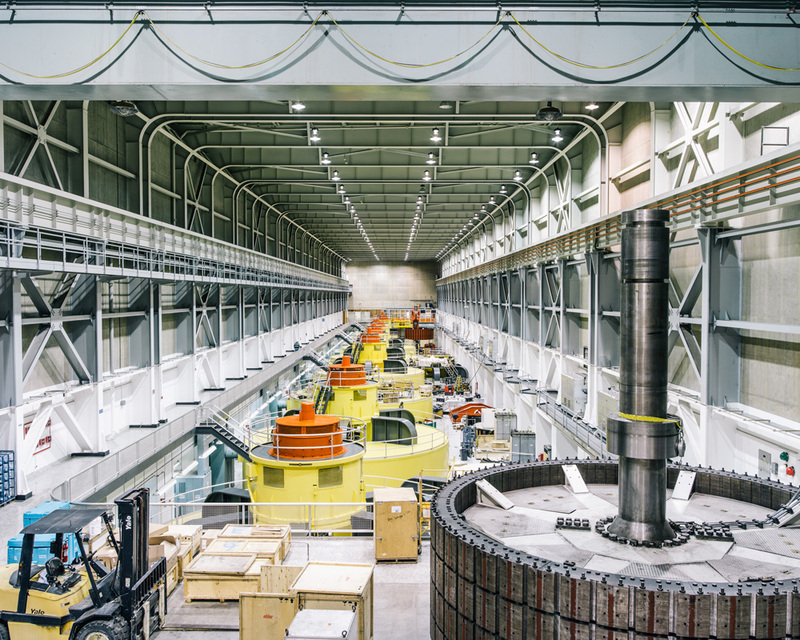 Turbines inside the Glen Canyon Dam, a great source of electrical power for the American Southwest. 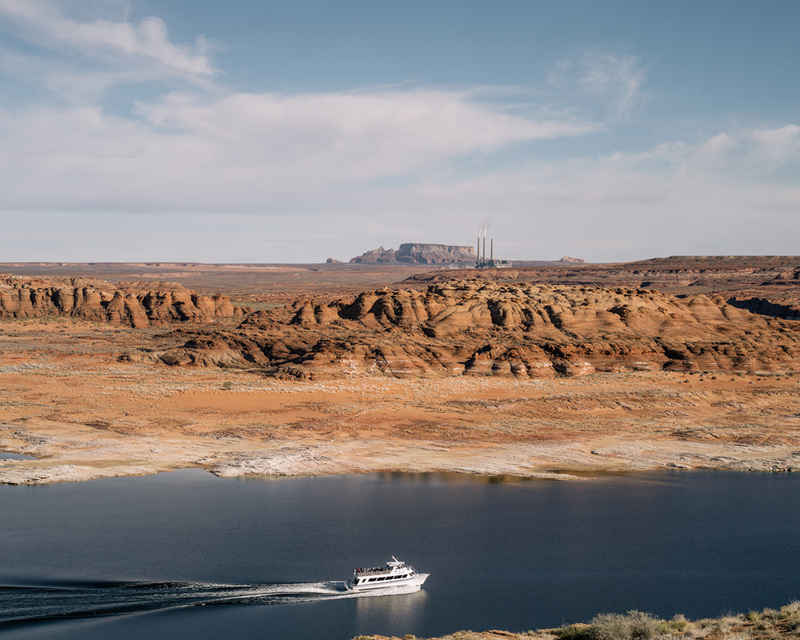 Lake Powell, which sits behind the 700-foot-tall Glen Canyon Dam and is the nation’s second-largest water reserve, has recently fluctuated between 39 and 51 percent full. Throughout, I was constantly reminded of my own complicity. 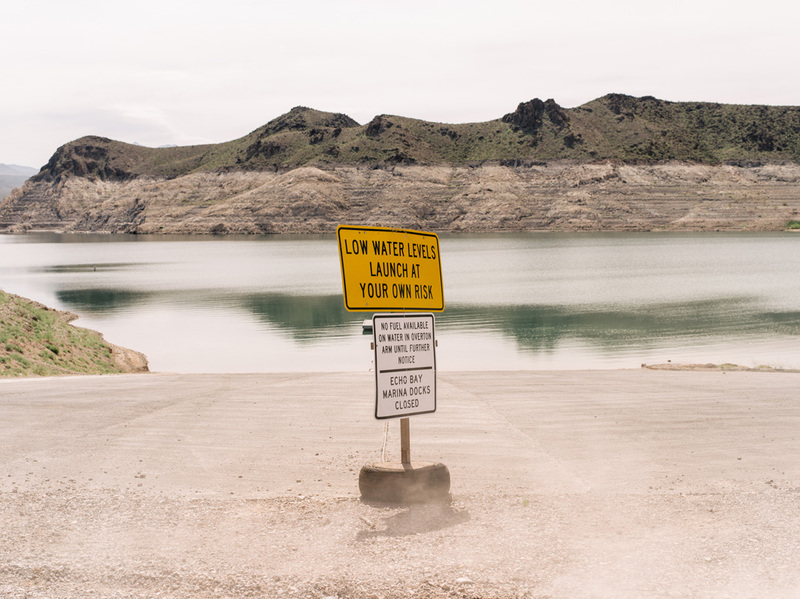 I live in a big city in the West and while I might not get my water from the Colorado, I sure as hell get it from some other man-made reservoir. When I turn on the lights in my house, I’m sure it’s from a coal-fired plant I’d rather not think about. The only thing that gives me hope is that if we could figure all of this out 60 or 70 years ago, hopefully we can do it again. 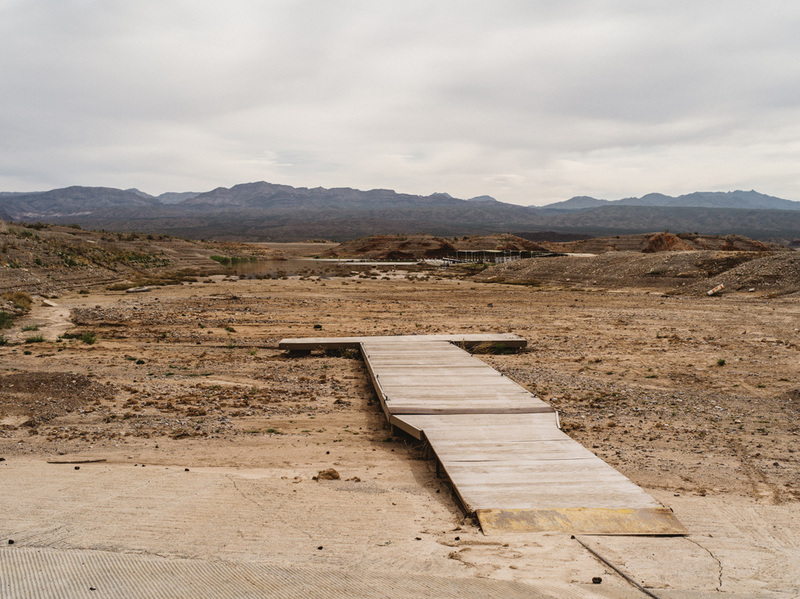 As water levels in Lake Mead outside Las Vegas continued to fall, the city’s growth raced on, all but unchecked.